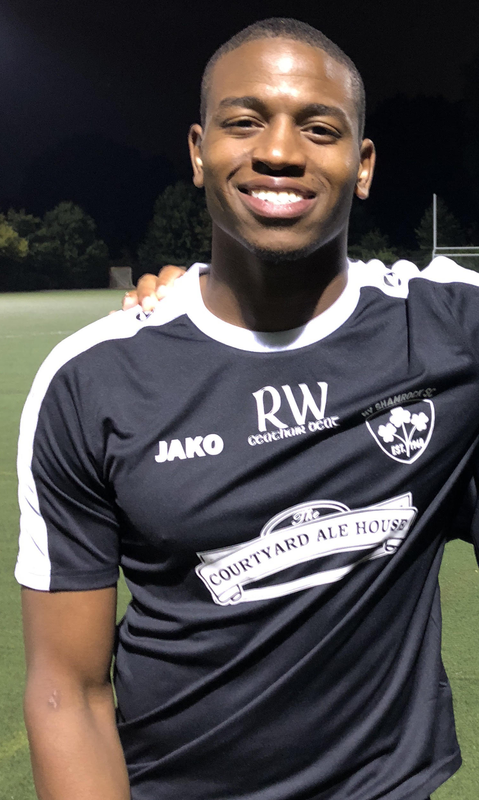 Shamrocks forward Kurt Cameron won its first CSL Player of the Week award for scoring a double against his ex-club Doxa S.C. on Sunday evening. Cameron was delighted to win the selection amongst the prominent players around the league. Cameron played for Doxa in the top division from 2015 to 2017 before transferring to the Rocks last season. The forward noted that when he played against Doxa for the first time last season he entered the game with more emotions but this year he was more set on guiding Shamrocks to the victory. Cameron tied the game 1-1 in the first half on Sunday when he deflected Kwesi Mills-Odoi’s shot in the net. After Dan Giorgi’s penalty pushed the Rocks up 2-1, the former Seton Hall striker gave Shamrocks a comfortable two-goal lead with his most exquisite goal of the season thus far. Cameron controlled Zachary Gosse’s header with his thigh before turning around and steering a shot in the net. Shamrocks’ 3-1 win over Paul Grafas’ men was their second victory in as many matches. The Rocks defeated Lansdowne Yonkers F.C. 3-1 in the Irish Derby on opening weekend. Cameron was also on target in that match as he netted the opener just two minutes into the encounter with a tap-in. He’s now the second top scorer of the league with three goals. Cameron is thrilled that he’s contributing in the team's wins with goals. “I’m extremely happy because the goals are helping the team win games and hopefully they continue,” the big striker said. Shamrocks’ next game is against title favorites and 2018 Rapaglia Cup champions Cedar Stars Academy on Sunday at 11:00 a.m. away from home at Ramapo College Athletic Center.